They are onto us. We’ve finally been made. 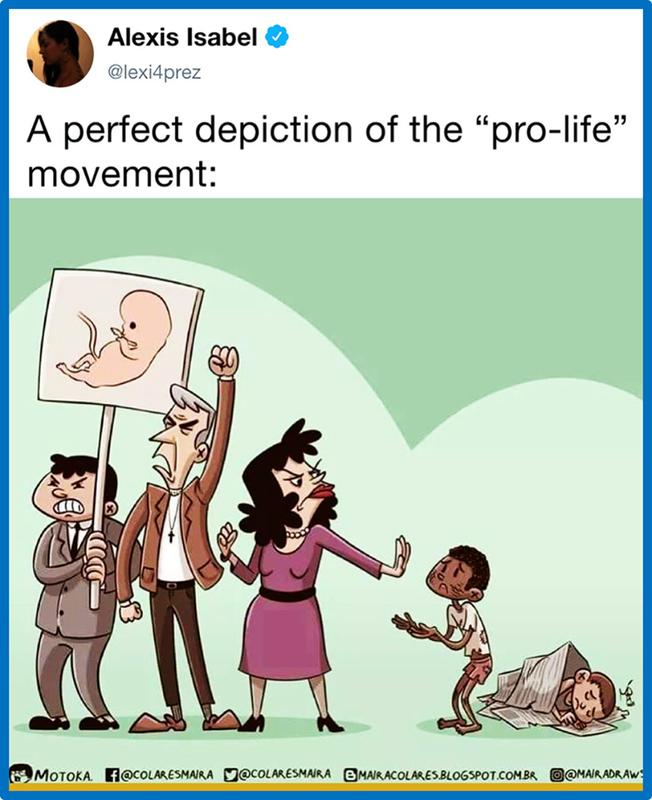 People who oppose the intentional killing of innocent human beings in the womb are mean, nasty, rich, and don’t give a rip about starving or homeless children. We aren’t pro-life unless we feed starving kids or give them shelter. How do I know? Because a meme like this one said so. Question for Ms. Isabel: And the problem is what exactly? Let’s suppose pro-life people are mean, nasty, fetus freaks who don’t give a rip about starving kids like pictured above. How does that entail that the unborn are not human, and we may do with them as we please, including intentionally kill them? It doesn’t follow logically at all. The pro-life movement is arguing that it is wrong to intentionally kill an innocent human being. Abortion does that. Therefore, abortion is wrong. An honesty question is in order when the assertion that pro-lifers only care about the unborn is made: If pro-lifers were to devote an equal amount of time to feeding and housing born children in a bad circumstance, would our opponents join us in opposing abortion? If they say no, then they have simply trotted out suffering children in order to score rhetorical points against their opponents. Chances are, if those opposed to abortion were to take responsibility for ending every social evil under the sun before focusing on abortion, our opponents would find another reason to excuse it. 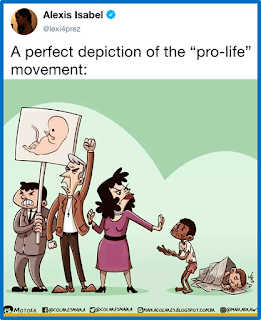 Setting aside the fact that pro-lifers do actually care about the born and the unborn, which becomes obvious if one is willing to take an honest look, the humanity of the unborn is a question that has to be resolved regardless of how nice pro-lifers are. Even if pro-life people were the meanest, cruelest, most fanatical people on the planet, it still would not follow that we could justifiably end the life of an unborn child. That has to be argued for, and not merely asserted. Saying that pro-lifers need to do more in order to be taken seriously is dishonest and a foolish attempt to change the subject. Until our opponents use the science of embryology to show that the unborn are not human, or moral reasoning to show that we have no duty as a society to value them, then nothing has been accomplished by pointing to other issues that are arguably not as urgent in scope or in nature.